Let’s Find Explosive-Growth in the Healthcare Sector Together! 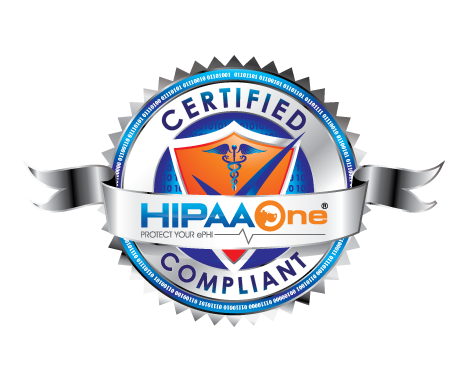 We’re experiencing rapid growth with now over 7,000 client-sites thanks to our market-leading HIPAA Security and Privacy Automated Software. As an organization actively seeking investment, we utilize Mountain Summit Advisors to assist with fielding questions from parties instead in our organization as a target acquisition. Should this align with your reason for outreach, we want to hear from you. Terry A. Pitts has been in the healthcare technology marketplace for over 40 years where he has led, participated, or managed over 30 buy and sell transactions in that marketplace. Terry has worked in the payer market, a CIO with a major healthcare Provider organization, and was one of an eight person leadership team that directed a billion dollar HIT vendor for several years. Terry was direct admitted into Coopers & Lybrandt as a Senior Managing Partner of the HIT practice for the United States, and has served as a CEO of his own healthcare information technology companies. Over the tenure of his career he and his companies have received several entrepreneurial awards. Terry has served on many Boards as a Director and has been a strategic consultant to many companies. He has been a thought leader, a creator of new technology, and is very well known and respected in the industry. Terry and his wife of 48 years have 4 children, and is the proud grandfather of 17. He has served two missions for his church in Washington DC and in New Zealand. He resides in the mountains of Utah and enjoys all kinds of outdoor sporting activities. Scott Holbrook, a 45 year healthcare technology veteran in both vendor and healthcare provider organizations. He is both a co-founder of Mountain Summit Advisors and strategic advisor to Health Catalyst. Scott has served as the Executive Vice President of Medicity, a provider of healthcare technology products to RHIOs, IDNS, large laboratories, payors, hospitals and clinics. He is one of the founders and a Board Member of KLAS, a healthcare market research firm. Earlier in his career, Scott served as a Vice President of IT Services for Intermountain Health Care for their 26-hospitals. During this tenure at IHC, Scott and his staff development the Medseries4 product that is currently owned by Siemens and has 450 hospitals who continue to use the product. He has also served in executive positions at GTE Health Systems (EVP), Sunquest Information Systems (EVP), Integrated Medical Networks (EVP), and a founder of Park City Solutions. Scott holds a Master’s of Science, from Utah State University, a Bachelor’s of Science from Brigham Young University and is a Six Sigma Black Belt. He is married to Joy Holbrook, a father of 9 and grandfather of 23.